When Elvis Presley commenced his first run of concerts at Las Vegas’ International Hotel in 1969, he needed to prove – to his fans, to his critics, and to himself – that he could still deliver the goods in a live setting on a consistent basis. His “comeback” television special the year before illustrated that he still possessed the voice and charisma of old, but Presley hadn’t performed a genuine concert, and certainly not a succession of them, since 1961. 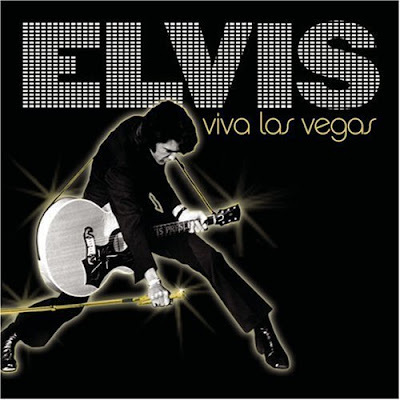 Comprising fifteen tracks recorded live between the years 1970 – 1972, along with the original 1963 studio version of the title track, Elvis: Viva Las Vegas offers ample evidence that the King of Rock & Roll could not only still elicit a staggering stage presence, but that he could also cover other artists’ material with incomparable sincerity. Given the regularity of his Vegas performances (and the fact that patrons took in multiple shows), Presley wanted to continually alter the setlist with fresh material, which resulted in him mixing cover versions in with songs from his own back catalog. This compilation spotlights those interpretive renditions. In an engaging display of showmanship, Presley prefaces “Polk Salad Annie” with a yarn about growing up in the South, essentially giving the women in the audience a few extra moments to moan before the band kicks in with the bluesy groove. Other highlights include “The Wonder Of You,” which yielded Presley’s first live single, reaching the top ten in America and number one in Great Britain, as well as “You Don’t Have To Say You Love Me,” both becoming staples of his live shows for the rest of his life. Presley may have lacked for taste in decorating the Jungle Room, but he certainly knew how to choose a good song. Elvis: Viva Las Vegas illustrates that he had the inherent talent to pull off thrilling performances of them as well.